I missed out on seeing the Mississippi, as there was dense cloud cover over much of the southeastern US this weekend. 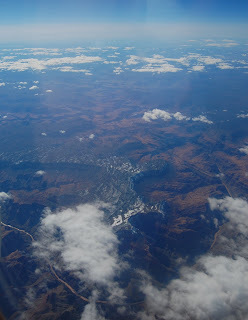 But instead, I was able to get a glimpse of the Grand Canyon! This view is looking directly west, and matches the satellite view of the area nicely.